One of the most important parts of your resume is the cover letter and yet it is often overlooked by job seekers. Having a well written cover letter will greatly increase your chances that a recruiter will contact you. The cover letter is your chance to showcase your suitability for a position and should briefly sum up everything you wrote about in your resume, and a good template to follow is to keep it to two paragraphs. The first paragraph should outline why you are interested in the job and it is a great idea to actually write the company’s/school’s name in the cover letter, as it shows you have specifically chosen to apply for their position, instead of sending out a blanket application to EVERY employer on the website. 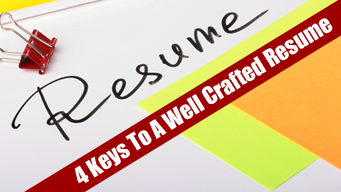 What are the 4 keys to a well crafted resume? A simple line such as: “I believe that I am a suitable candidate for SCHOOL NAME, because…” is an effective way to make a positive impact on your potential future employer. Use the second paragraph to demonstrate why you feel you are best qualified for the job. Briefly list any relevant qualifications or job history and tell the employer why you are relevant for this job. Be very careful when cutting and pasting cover letters as is it easy to send the wrong letter to a potential employer. A good tip is to have someone else review your cover letter and resume before you send it. The key to a well crafted cover letter is to keep it brief but relevant to the job you are applying for. You can create any number of cover letters on the GaijinPot job system, get started today.